Breng de sfeer van een beachclub nu bij u in de tuin. Feel comfy lounge furniture? 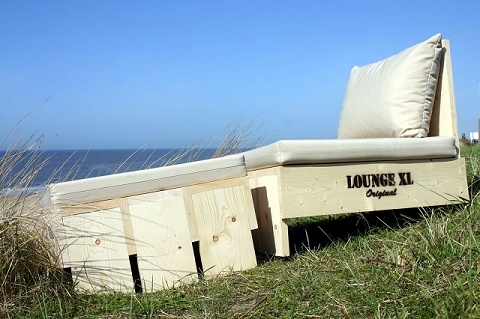 The Groningen Robbert Baron for the young Dutch furniture brand outdoor lounge set designed for a Dutch Summer EAP itself. The trendy lounge suite is called XL and as a kit delivered to your home. Ideal for small terraces. The furniture is made of sturdy pine, the weather and get the look of weathered wood scaffolding. A chair costs 119 euros. The matching pillows are a variety of colors and cost 70 euros. Bestel online kussens op maat. Hoge kortingen en gratis verzonden.